Are you searching for wood burning stoves in the Bingley and Shipley areas? The A650 trunk road passes through Bingley. Through traffic has been diverted onto the new dual carriageway avoiding the town centre. The road passes north-west to Keighley and south-east to Shipley and Bradford giving easy access to Pudsey and the Leeds Stove Centre. We have now become one of the leading suppliers of wood burning stoves to the Bingley and Shipley area. Here at the Leeds Stove Centre, we are able to offer a huge choice of stoves in many different styles, ranging from modern stoves to contemporary free standing stoves to more traditional cast iron stoves. Not only does our superb range of stoves look great, but they are also extremely practical, offering an economic, eco-friendly way of heating your home. A large selection of our quality wood burning stoves can be viewed in our stove-only showroom in Pudsey, Leeds. If you visit the showroom you will gain an insight into how a stove and chamber could look in your own home. We pride ourselves on supplying our customers the highest standard of wood burning stoves possible at the best prices possible! Therefore we only stock stoves from trusted manufacturers such as Stovax, Dik Guerts, Yeoman, Burley and more! With such a large choice available for you, in a whole range of different designs, you should be able to find the perfect wood burning stove. In addition, we are also able to install your wood burning stove and flue system. We have a large number of in-house HETAS stove installers who can install your stove. To arrange a free installation survey, contact us on 0113 255 5622. 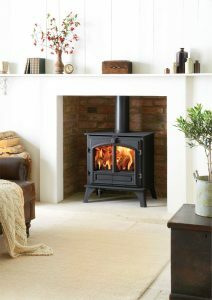 Buy with confidence from the Leeds Stove Centre – Number 1 supplier of wood burning stoves to the Bingley and Shipley area.